78 mass shootings in the United States since 1982, resulting in 547 deaths. America has the most guns per capita (of civilian ownership) of any country in the world, including war torn countries like Syria and Iraq (not to mention the fact that America supplies the world with it’s guns). America also has a second amendment which is open to endless levels of interpretation and re-interpretation, from defending an American’s right to a nuclear warhead, or just a plain old gun to defend one’s home and person, or arming up as a member of a well-regulated militia (which is what it literally says). 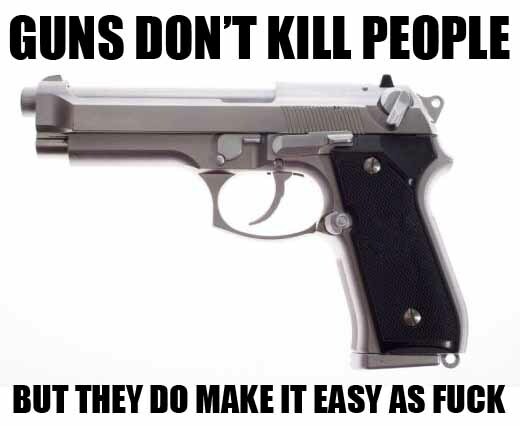 The most prevalent pro-gun argument I have encountered is the argument from experience. Once upon a time, I had an exchange on Twitter with prominent Texan Atheist Matt Dillahunty (@Matt_Dillahunty) (I’m sure he wouldn’t remember this exchange), in which I proclaimed gun-ownership in America to be the “largest cult that currently exists”. Provocative and hyperbolic, but still essentially true in my view. Needless to say, Dillahunty took issue with this: “Well that escalated quickly”, he said. I asked how what I said was wrong, and he (if I remember correctly, but don’t quote me on this) went on to say how responsible gun owners are not to blame for the actions of crazy people, that I don’t ‘understand’ ‘gun culture’, and that what I said was hyperbolic to absurdity. 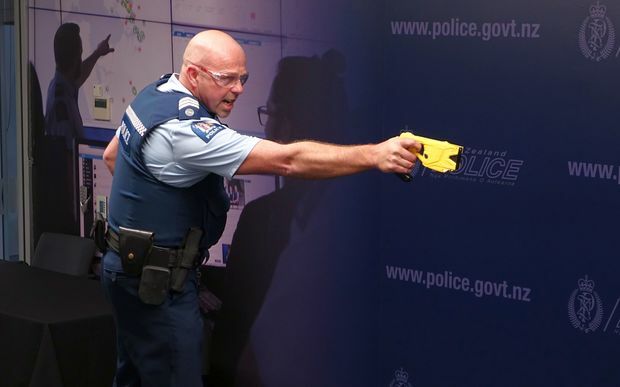 Being from New Zealand, I am consistently told I simply ‘don’t understand’ the culture of gun ownership in America (or that I can’t possibly understand anything outside of my immediate experience, ignoring that some proponents of this view would also say they ‘understand’ religion better than those religion’s adherents… and I’m supposed to ignore the fact these people also proclaim to NOT be moral relativists!?). To the responsible gun owner living in the ‘gun culture’ of America, I have zero doubt that my comment seems dismissible as hyperbolic. However, I would say dismissing my comment from the point of view of personal experience commits a fallacy, by saying “because I am surrounded by responsible gun owners, and because I ‘understand’ gun culture (because I am *in* it)…an American obsession with guns is non-existent”. But there is no logical link between these points. I mean, I’m a not-racist white guy…but that doesn’t mean some other white guys are not racist. It doesn’t mean there isn’t a ‘cult’ of racism. It doesn’t mean it isn’t widespread. If I haven’t met any racists and none of my friends are racists, it doesn’t mean there are no racists. This experience doesn’t cast doubt on the prevalence of racism. It also doesn’t prove it, while not being a satisfactory counter argument to any postulation that racism is widespread. I was a little confused that a man so devoted to logic, rational arguments and reason as Matt Dillahunty was so dismissive of the existence of a massive gun cult on the basis of personal experience. Is gun culture so pernicious that it will reduce even Matt Dillahunty to such arguments? Of course, the ‘burden of proof’ (a cry which these days has become a talking point to deflect from criticism in many circles) is on me to prove the existence of this gun cult, but the case can be made easily. All we need to do is look at the recent spate of shootings, and the inevitable counter reaction to them: anything but guns. Upon coming into power in 1980, conservative demi-god Ronald Reagan discarded Jimmy Carter’s Mental Health Systems Act, which was signed into law by Carter only one month previously. The act aimed to increased federal funding to mental health services nationwide, for all age groups, from children to the elderly. Upon the bill being scrapped by Reagan, funding to Community Mental Health Centers (CMHCs) nationwide dried up, resulting in a loss of mental health services and the eventual flooding of mentally ill patients back into the general system. At the same time as these regressions in mental health services throughout the USA, the National Rifle Association (NRA) celebrated victory after victory in influencing American laws and using their lobbying power to reduce gun regulations, increasing the spread of gun ownership. The second amendment has been used by the NRA as a clarion call to Americans that to ‘protect their freedoms’, guns are a necessity. Guns are intrinsically tied to being free, as if 2015 is equivalent to 1775. These guns could be of use against well-trained government forces, and effective regulation threatens one’s freedom and personal safety. Forward to today. There was Columbine, in which 15 people were killed, including the two shooters. There was the Virginia Tech shooting, in which 33 people were killed including the perpetrator. The Newtown school shooting, in which 28 people were killed including the gunman. The Isla Vista shootings which left 7 dead including the perpetrator. There was the Charleston church shooting in which 9 people were killed. An on-air news shooting in Virginia, in which a cameraman and reporter were shot to death on live television, the murderer later committing suicide. More recently, as of this writing, we have the shooting that occurred at Umpqua College in Oregon, leaving 10 dead including the perpetrator (not mentioning the shooting which occurred merely hours later in Florida, which garnered zero coverage in the mainstream media). This is hardly the most strident declaration of executive power I have ever heard. 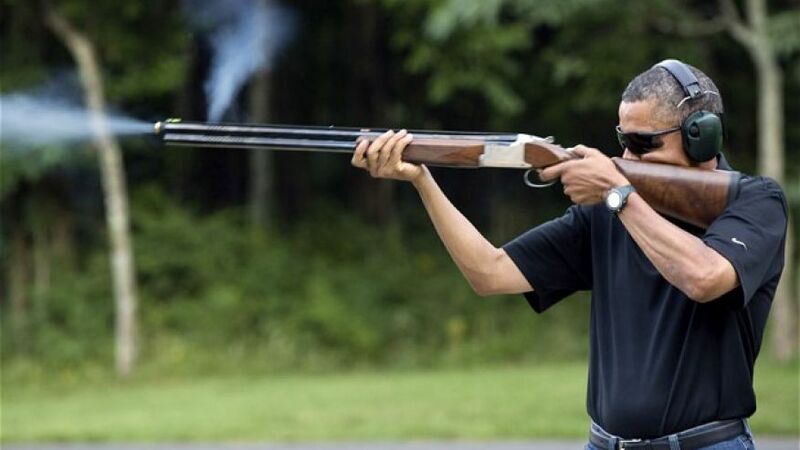 In fact, as has been noted, Obama has proposed no new gun laws or regulations. He explicitly stated he needs congress to saddle up. This is not something I can do myself. Mike Huckabee condemned Obama’s statement as “shameless politicizing”. Hannity ranted that Obama rushed to politicize “before the bodies were even cold”. “Imagine a politician politicizing something” remarked Ben Carson, before pointing out the need for a solution and presenting zero ideas on what that might be. Think about that. Donald Trump, the most shameless, opportunistic politician of this era is now talking about “mental health” as a big concern. Yes, the same “mental health” which was stripped of funding and destroyed in the 1980s by Ronald Reagan, who is the idol of Trump and his republican cohorts. And you know what? Alright. Mentally ill people do need more care, more medicine, more coverage. The kind of care people now advocating for mental health have never previously expressed. The kind of care they would give you a voucher for and then leave you to the wolves. However, there is no exclusivity between mental health and working on the gun issue. There is no logical reason why one would say “Mental health is clearly the issue here, NOT guns”. Why? Why not guns? For what reason do you add “not guns”? What is it about working on mental health issues that inexplicably walls off guns as a valid concern? This would be akin to a man with two wounds entering the emergency room. The doctor works diligently on the first wound, cleans and dresses it. The second wound continues to bleed profusely. “Ahhh…doc…I’m still…bleeding quite badly here”. The doctor rounds on him sternly: “The FIRST wound was the problem! Not the second! I fixed the first wound, so you’ll be fine”. This is absurd. Both wounds matter! It is no coincidence that people who have previously had no concern whatsoever for mental health issues, are now talking about it. Following the Columbine shooting of 1999, it was revealed the perpetrators playing the video game ‘Doom’. Doom is a violent game where the player ‘kills’ demons. I was too young to know back then, but this talking point was another deflection off the subject of guns. Bill O’Reilly regularly talks about the shootings in Chicago as a byproduct of it’s degraded ‘culture’, never once mentioning the fact that Chicago is awash in handguns. If any passing mention is given to the number of guns in the system, they say it proves criminals will ‘get guns anyway’. But this is still NOT an argument against simple reforms that would reduce the number of guns flowing into the system. We are not talking about an outright ‘gun-grab’ (which is a gun-enthusiasts worst Hitlerian nightmare, and obvious straw-man). The number of guns in Chicago shows that the legal gun system is in need of reform, alongside those particularly destructive weapons which will be outright banned. What else have we heard about as an excuse to not talk about guns? Violent movies. Rap music. The confederate flag. The list of things they will trot out to avoid guns is tremendous. These issues are not invalid, but the gun debate is curious in that other issues will be used to discount guns as an issue by their mere existence, not their validity. There is no causal link between any of those things and the mass shootings at hand. There may be a link between some of these things and vague, generalized violence, but the tool by which mass killing is achieved is undoubtedly the gun (excepting a few cases). Others say mass killers will just use bombs, but one would expect a spate of bombings in countries that don’t have guns (not counting the disastrous Middle East), but this simply hasn’t occurred. The goal should not just be keeping illegal firearms out of the system, but keeping legal firearms in the hands of legitimately responsible and sane gun enthusiasts. 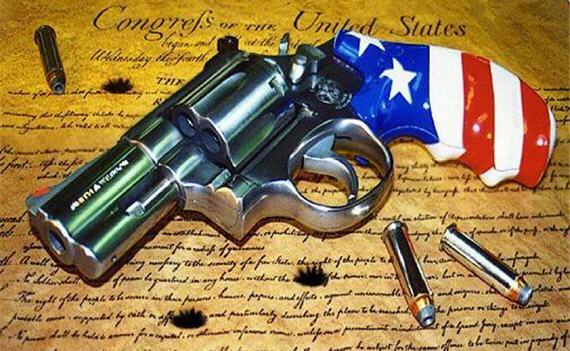 Therefore, legal gun ownership should also be scrutinized, the methods by which one acquires a fire-arm looked at, and existing laws reformed and reinforced. “X is the problem. Not guns”, should no longer be consider a valid statement. “X is a problem, AND guns” is what’s needed. On Twitter I stated: ‘gun culture is the largest cult in America’, a statement which atheist Matt Dillahunty saw as hyperbolic. But when half of Americans believe, even following a massacre, that protecting ‘gun rights’ is more important than ‘controlling gun ownership’ (read: not banning guns, not repealing the second amendment, but merely CONTROLLING gun ownership), how can we believe they are making a point based on facts and reason, and not arguing from experience? When a second amendment that is vague at best and clearly outdated is interpreted as meaning all citizens have the right to bear arms, despite the words ‘well-regulated militia’ and ‘necessary to the security of a free state’ (what is threatening the ‘free state’ of America right now that would require an armed citizenry?). When people otherwise devoted to logic and reason ignore the disparity between America and the rest of the developed world (and where not sane people state things like: Australia has no guns because they also have no ‘freedom’. )…what you have is a cult. A large, very dogmatic, dangerous, very vocal and highly unreasonable cult. All we are asking for is better laws. There is no ‘culture’ that one must ‘understand’ to make this argument. That’s called moral relativism, I’m against it. I think religion contributes a lot to this problem. They think someone who does the shooting is just crazy and will get their hands on a gun no matter what. The numbers show that’s not true, how easy it is to get a gun makes a huge difference in every situation. Religion makes it easy to dismiss the ‘other’ and stop thinking any further. Preachers encourage a lot of fear for groups that are considered outside their own. Because fear motivates people, it brings in more money. Especially since anyone who calls themselves a religion in the US doesn’t have to pay taxes, religion is a cash business.